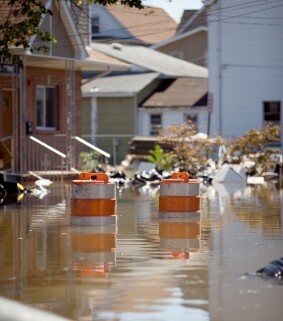 In 2012, Hurricane Sandy left 35 million people without power, water, and/or gas. The 1994 Northridge earthquake caused damages in an 85 mile radius, while the damages caused by Hurricane Katrina in 2005 totaled $81 billion. And these are just U.S. natural disaster statistics. Emergency preparedness could be the difference between life and death. Humans can go over a month without food, but only three days without water. Are you prepared? The Water Quality & Health Council recommends that you store at least one gallon of water per person, per day in a cool, dark place. Half of your stored water should be reserved for personal hygiene and food preparation. The U.S. Department of Homeland Security encourages individuals to store enough water to last a minimum of three days. The Center for Disease Control recommends that you replace all non-commercially packaged stored water every six months. Don’t forget to store additional water for all pets! The Chanson Nano Filtration System is a revolutionary everyday water filter which is also perfect for emergencies. It filters out bacteria, VOC’s, SOC’s, viral contaminants and a host of other unwanted water pollutants, making ANY water safe to drink and saving you a ton of money on bottled water. In fact, the Nano Filtration System is so effective that if your city issues a boil safe warning, you won’t have to comply! The Nano comes with one 3.2 gallon BPA-free metal-free Storage Tank. This tank has NSF approved components, is not susceptible to rust or corrosion, and does not contain harmful chemicals. It is also one of the only holding tanks on the market that is washable, making it more resistant to mold. Extra Storage Tanks can be purchased individually and will store enough water for one person for three days. Want to dramatically increase your emergency water stockpile cheaply and effectively? Our FloJet Pump allows you to pump non-drinkable water from various sources like pools, spas, lakes, and even toilets through the Nano and into the storage tank, transforming dirty, polluted water into clean, safe, refreshing drinking water. Keep in mind that both the Nano and the FloJet do require electricity, so a backup generator may be needed depending on the circumstances. Don’t leave you and your family susceptible to natural disasters. Order your water firewall system today! Critics of the alkaline diet typically profess four main objections, all of which are misconceptions that are easily explained away. True but misleading. The reason that the blood does not fluctuate is because if it does not remain at right about 7.365 pH you will die. Your body has a built-in self-correcting mechanism for when you eat acidic foods. It literally pulls alkaline minerals from your bones and muscles in order to neutralize the acid and keep you in pH balance. The problem is the damage that this self-correction can cause including bone loss, muscle loss, heart problems, vision loss, reduced energy and more. So yes, eating alkaline foods will not increase your blood pH, but it will prevent your body from stealing minerals from itself because you are providing the body with a mineral reserve and reducing the amount of acidic foods you eat. When we refer to alkalizing your pH we are referring to the urine and saliva which can be tested with pH strips, not the blood. False. To paraphrase Dr. Robert O. Young: The stomach wall makes sodium bicarbonate (aka baking soda) to alkalize our food not digest our food. Hydrochloric acid is only produced when we eat or drink acid-forming foods and drinks and is balanced in equal proportion by sodium bicarbonate production. When we consume alkaline forming foods and drink alkaline ionized water, the body does not need the sodium bicarbonate production and thus the hydrochloric acid production is not required either! Misleading. As a whole, there may not be a lot of research specifically about the alkaline diet, however numerous studies have shown benefits of vegetarian and vegan diets, as well as health benefits of eating certain fruits and vegetables, cutting out meat, and avoiding processed foods and artificial ingredients. So since the alkaline diet is a largely vegan/vegetarian diet high in fruits and vegetables that cuts out processed foods and artificial ingredients, how can you possibly be skeptical? It’s common sense. Natural whole plant-based foods are good for you, while processed, artificial “junk foods” are not. True but not impossible. When referring to an acid/alkaline chart the one question you need to ask is if the chart is showing the pH of the actual food, or the pH of the food after it has been digested. You are looking for the latter, because you want to know what kind of effect that food will have on your body. The most common confusion over this is that lemons are highly acidic by nature, but have a strong alkalizing effect on the body due to their high mineral and low sugar content. So use a set of charts like ours which focus on the pH of the food after it has been digested, and disregard the others. Click here to get your free alkaline/acid food charts. Shifting to an 80% alkaline/20% acidic diet and drinking ionized alkaline water may help you lose weight, give you increased energy, reverse major health issues including cancer and diabetes, improve your sleep and appearance, and boost your immune system. It is not a fad or a crash diet but rather a permanent shift in your eating habits for overall wellness much like a raw, vegan or vegetarian diet. Try it for yourself, and be sure to share your results! The cause of virtually all disease boils down to two things: toxicity and deficiency. We live in an over toxic world. We are exposed to more toxins in one day than our ancestors were in a lifetime. And most of the foods lining grocery store shelves and being served at drive-thru’s these days are nutrient deficient. So it’s no wonder that disease is more prevalent in today’s day and age than ever before. Our bodies are designed to remain alkaline on the pH scale and unfortunately the American diet and lifestyle encourages an over-acidic state of being which is not conductive to health. Fortunately there are many natural ways to prevent and even reverse diseases like cancer and diabetes as well as common ailments like allergies and inflammation. Being over toxic (or over acid) means that your body has accumulated a number of harmful chemical toxins and is overloaded. Common signs of being over-toxic include excess weight, fatigue, and aches and pains. Ionized alkaline water is microclustered and able to detox the body on a cellular level that standard tap and bottled water cannot reach. In fact it is so effective that one Chanson Water USA customer called to say he passed a drug test after ingesting large amounts of prescribed codeine for several years. The water is very cleansing and easier to drink because it does not leave a bloated or waterlogged feeling. You can make your own using an electric water ionizer. Studies show that a hydrated body detoxes more easily than a dehydrated body. Exercise, preferably soft, aerobic exercise that doesn’t create a lot of lactic acid, is a great way to rid the body of toxins. Some also prefer the use of an infrared sauna to remove excess toxins through the pores. Rare earth mineral clay, along with a handful of other natural clays, can detox the body in a variety of ways. Add some to a glass to water as a daily dietary supplement, bathe in it, or make a clay facial mask. Whichever way you use it, toxins will be naturally drawn out of the body. Fasting is a great way to give your body a break from digestion and allow it to naturally flush toxins from the body. If you have never fasted before it might be best to start with a fresh juice or liquid fast, while others might benefit best from a water only fast. Try natural alternatives for your cleaning supplies and bath and body products, most of which are chalk full of toxic chemicals. Numerous alternatives exist, but an easy one is ionized acidic water from a water ionizer because it’s antibacterial and leaves no residue or odor unlike things like apple cider vinegar and baking soda. Ionized acidic water can replace over 100 cleaning and beauty products including Lysol, window cleaner, mouthwash, facial toner, and bug spray. Chanson also offers our new Miracle Sanitizer, which deodorizes and sanitizes air and liquids, making it a great alternative to chemical laden air fresheners. Mineral deficiency is more common than you may think. Common signs of mineral deficiency include yeast and fungal infections, leg cramps, strong foot odor and white spots on fingernails. Because the body cannot make it’s own minerals and actually has to steal from minerals reserves like the bones, teeth and muscles when processing acids and toxins in order to survive, getting enough minerals in your diet is essential. Alkaline foods like vegetables, non-sweet fruits, nuts and seeds are nutrient rich and promote health. By shifting what’s on your plate to 80% alkaline foods, you will be providing your body with a healthy supply of alkaline minerals. Drinking ionized alkaline water is also extremely effective because it is full of bioavailable alkaline minerals and antioxidants, and soaking your fruits and vegetables in this water increases its nutritional value. Soda is quite possibly the worst “edible” thing you could put in your mouth. It robs the body of minerals, is packed with sugar, and has no nutritional value. In fact, one sip of soda is so acidic that it takes 32 glasses of ionized alkaline water just to neutralize it! Diet sodas are even worse because they use artificial sweeteners which further damage your neurological system. Eliminating or reducing soda and energy drinks from your diet can go a long way in balancing your nutrient levels. Replace with ionized alkaline water and fresh made green juice for best results. There are many foods that we have been led to believe are good for us when in reality they are not. For example, contrary to popular belief, cow’s milk actually robs the body of calcium instead of providing it. This is because cow’s milk also contains phosphorus, which blocks the absorption of the calcium in the milk, triggering an automatic response in the body to pull calcium from the bones to process the acidic liquid! Switching to unsweetened almond, coconut or organic soy milk are better alternatives. Magnesium is possibly the most vital nutrient that most Americans are lacking. While various supplements exist, one of the best ways to get enough magnesium is by adding an Inline magnesium remineralizer to your Chanson water filter or ionizer. This form of magnesium is powdered for easier absorption, and when used with an electric water ionizer will be made bioavailable. Take your health into your own hands before it’s too late. By both reducing toxins and increasing your alkaline mineral intake, you can effectively safeguard your health and even heal yourself of many diseases and conditions.